As a music teacher I’m sure you’ll agree that learning to play an instrument has huge musical and educational benefits for students, although providing every child with the opportunity to do so is one of the greatest challenges in music education. This is one of the key findings in Ofsted’s Making More of Music report. Gigajam can help you make more of music by addressing this and other challenges in the report, for only £1 per pupil per annum. Making More of Music presentation. Ineffective assessment, presented by challenges in providing continual assessment and reliance on terminal assessments. Gigajam’s Xtractor’s analysis provides pupils with visual formative assessment for each exercise they perform. These assessments can be stored online in an ePortfolio, providing summative assessment and the opportunity for teacher and student commentary. Pupils enjoyed music, but did not always make as much progress as they might have done. 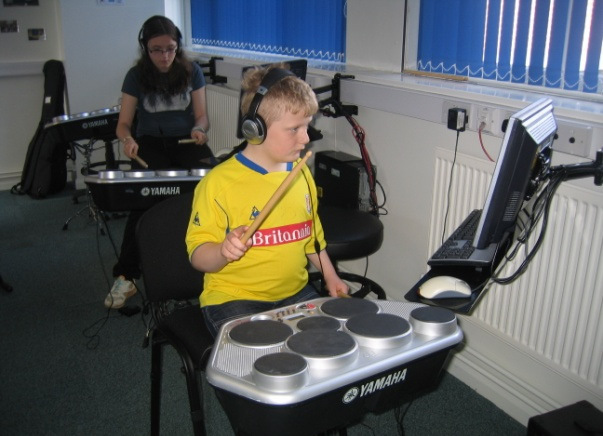 Gigajam lesson content and software simulates a one to one experience and students are able to work on their instrumental skills in greater depth. The supported nature of the multimedia provides sustained support for the student. Access anytime anywhere allows greater opportunity to practice and develop skills. Instrumental skills developed with Gigajam enable students to perform live together in bands, and complement and support programmes like Musical Futures. The quality and range of the provision for music varied too much. 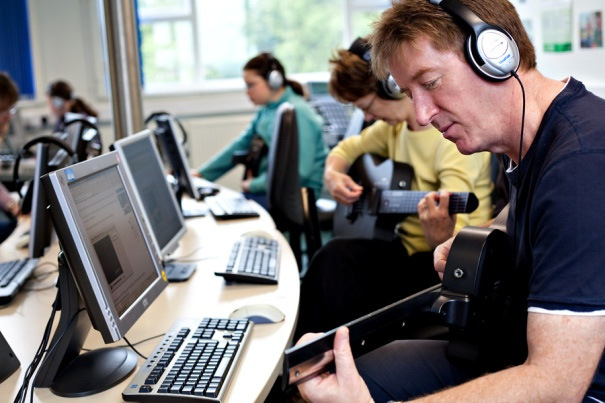 Gigajam is a high quality pathway of instrumental tuition for guitar, bass, keyboard and drums that enables students to develop instrumental skills & perform as bands. 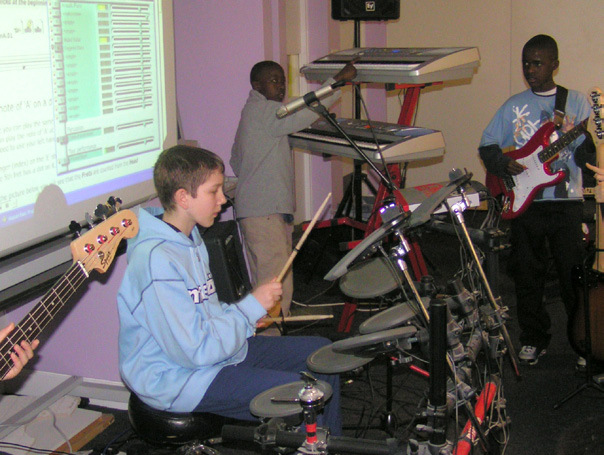 Music technology and ICT was underused, especially at KS3. As a digital product accessible via the web, Gigajam is engaging to young people. 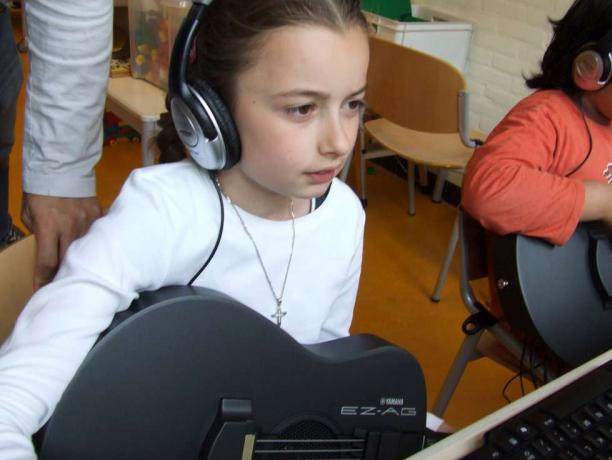 It familiarises students with the interaction between instruments and computers, providing skills and music creation in a wide variety of scenarios. The programmes provided outstanding benefits, but not all the programmes were of sufficient duration or quality to have a lasting impact. 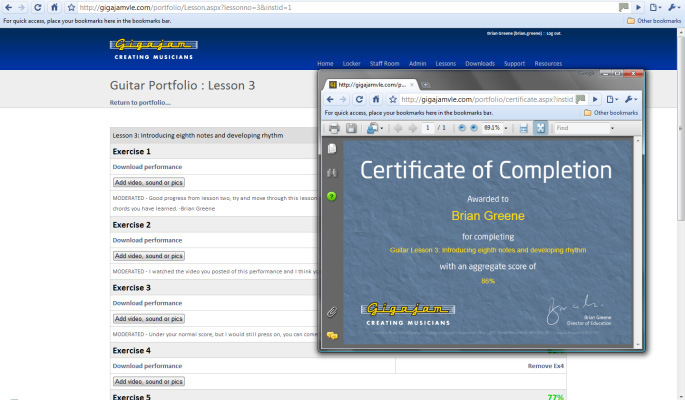 Gigajam’s lesson content is a significant pathway of study that supports student progression from the top of primary, through transition and onwards to KS4 music and accreditation. Few pupils continued with music into KS4. Providing more students with active engagement and hands on experiences makes them feel musical. Developing skills over a sustained period with demonstrable progression creates more musicians that can engage fully in all aspects of music making, be it performing, recording, or composing. The development of musical skills increases students’ confidence in treating music as a viable and enjoyable option as they approach KS4.